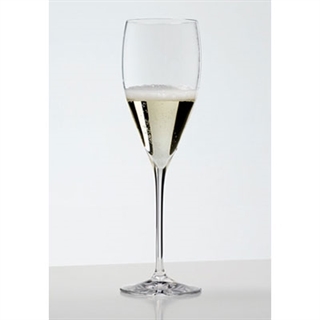 Riedel restaurant extreme champagne glasses are elegant and sophisticated perfect for celebrating that special occasion! These are available boxed in 6’s, perfect if you’re a restaurant, bar or merchant. The Riedel Restaurant Extreme glasses are named for their extreme feature diamond-shaped bowls that angle out before narrowing at the top. This design allows for flavours to be intensified and evaporate successfully. Perfect for ‘new world’ wines which tend to be more fruit based. It should be noted that we have large stocks of Riedel Restaurant and are able to dispatch next working day to UK mainland addresses. Each glass measures: Height: 250mm 9 7/8" - Capacity: 343ml 12 oz.